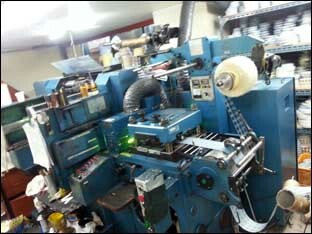 - 3color printing face: 250mm x 150mm included Ink roller and accessories. 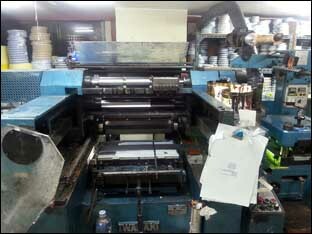 - 4color printing face: 250mm x 110mm included Ink roller and accessories. - 2nd Flat-bed Die-cutting unit: Max. size: 250mm x 200mm included upper chase & lower chase. - U.V. Dryer between Print & Die-cutting station.